If we apply our wabigokoro to our house we get as a result an austere yet sophisticated style. Actually it has been the Western public with more sophisticated artistic and design tastes the first to fall in love with wabi sabi. Actually the western public with the most sophisticated artistic and design tastes were the first to fall in love with wabisabi. You shall highlight the old elements. Objects with patina add charm and excitement to the houses. They can be objects from family heritage, treasures founded in flea markets or auction houses. 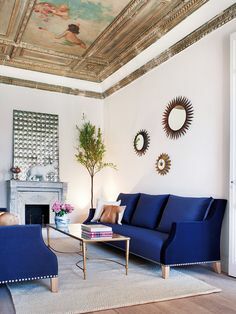 Or parts of the house, such as handmade bricks or old exposed beams. 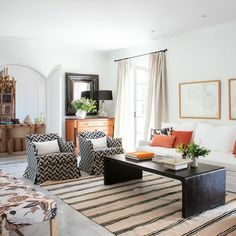 You shall choose materials that improve over time, such as leather, linen, wool … Nobody doubts the beauty of the worn leather armchairs, antique kilims, washing linen… Natural wear is the key to the wabi sabi concept. What will be the favorite materials of a wabibito (wabi person)? Think of those vulnerable to weathering, warping, shrinkage or cracking. And you will be right. You shall avoid synthetic materials. 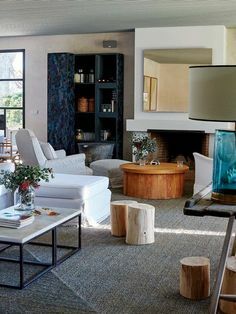 Look for natural and organic materials. A wooden floor (and even better aged), not a Pergo laminate flooring. Lamps tracing paper, not of glass or steel. The wabibito seeking natural and irregular textures, shapes and organic motifs, which are in stone, wood, natural fabrics such as linen … In this regard, preferred furniture has irregular edges as unfinished and imperfect forms. You shall seek out horizontal lines. 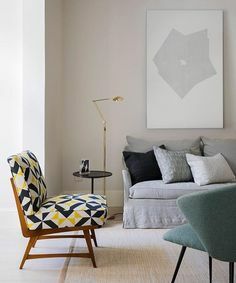 Choose simple and modern furnishings, with scant ornamentation and based on horizontal lines: large sofas, wall units… All this creates the illusion of more space and order, a key of wabi sabi philosophy. You shall love the colors of Nature. Of course, as wabi sabi is not exactly a decorating style, it is difficult to say with certainty what colors to use to create a color scheme. Nature helps us again. 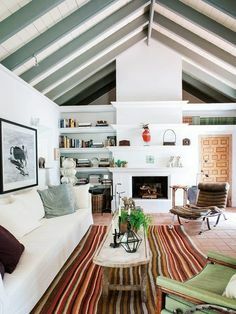 Combine neutral colors with colors drawn from nature: black, grey, green … Actually, any color can serve if you avoid bright colors and choose those that look aged, washed, even rusty. You shall love asymmetry. Nothing reflects the natural balance as asymmetry. 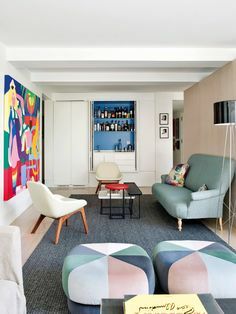 If we follow our wabigokoro, we avoid to use furniture “groups” and we look for unique and individual pieces, mixing styles and finishes to achieve unique, unconventional spaces. You shall look after things. In a wabi sabi house there is nothing dirty or unkempt. Things worn by time can only shine in care environments. Even the most exclusive and expensive antiques don’t look good in a messy, chaotic house. Objects survive and look proud its marks of time, precisely because they have been well maintained over the years. Photo: Sofa and linen, Blasco & Blasco and B&B Collection. You shall not fall into the cold minimalism. Although wabi sabi is in some way an expression of minimalism, it’s not in the Western sense. Wabi sabi proposes us to cut our possessions to stay only with the essential, useful or beautiful. But aesthetically it’s not cold, it’s very emotional. You shall create a home to celebrate life, full of tranquility and beauty. Listen to your wabigokoro: When you choose simplicity, you choose happiness… If you love your house, that love will shine in every room.